It took just a day for Parisians to transform the shock and bafflement of Friday's (13 November) terror attacks into a quiet show of resilience and determination. On Sunday, despite a prohibition to gather in large numbers under the state of emergency declared on Saturday, thousands of people walked again through Paris streets, which had been almost deserted the day before. People of all ages, styles and ethnic origins went to the places where gunmen killed 129 people and injured 352 in separate attacks on restaurants, bars, a concert hall, and next to the Stade de France. They were the same mix of people who marched on 11 January after the Charlie Hebdo and Hypercasher killings. 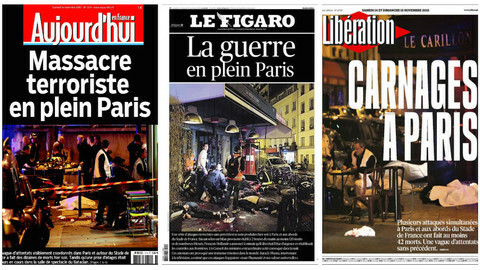 The people of Paris were also back in the metro, parks, and on the terraces of bars and cafes. "There is no demonstration but people need to be together," Sylvie, a university professor, told EUobserver next to the Bataclan, where 89 people were killed at a rock concert. "It is our city. We need to be there." "It is insane, but we must continue to live,” said Christine, who came with her daughter, who lives nearby. 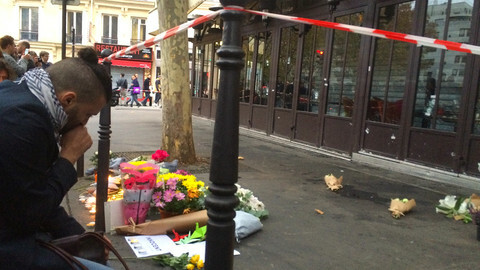 A few streets away, in front of a restaurant on the Rue de Charonne, where 19 people were killed, Dominique, a man in his 50s, said he "came here today because I need to share my sorrow. I need to see faces." He had stayed at home on Saturday, still in shock after Friday night's events. "In January, the shock was immediate," he said. 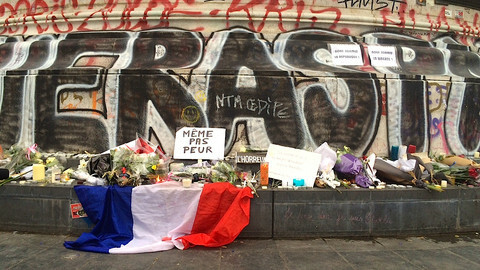 "The people at Charlie Hebdo were well known, it was striking." "This time the shock came later, because it was anonymous. But it is more personal because they attacked the deepest part of what I am," he said. Nerves were still raw, however. 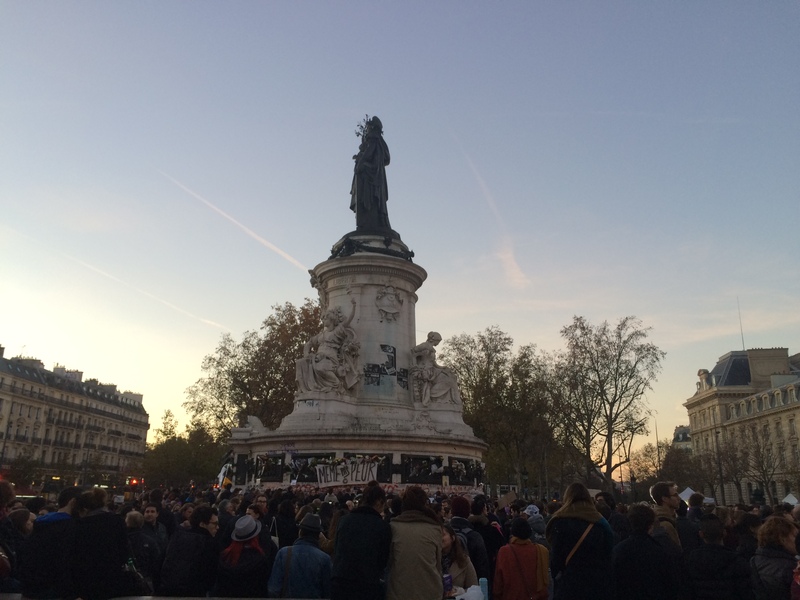 After nightfall, there was a moment of panic on Place de la Republique, for an unknown reason, which showed how quickly the fear can return. Before the disturbance, a large crowd had gathered at the foot of the monument, but, unlike the day before, there were no police to ask them to disperse. Just as at the sites of the killings, dozens of small candles illuminating an improvised memorial of flowers and papers left a smell reminiscent of church incense. It looked like a repeat of the January gatherings. 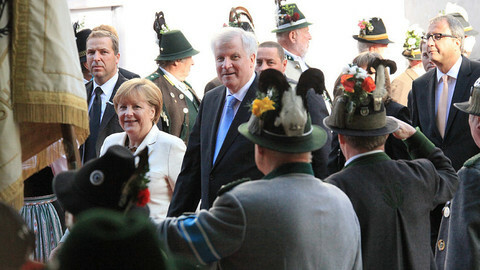 But the first political reactions suggest national unity will be more difficult to establish than 10 months ago. 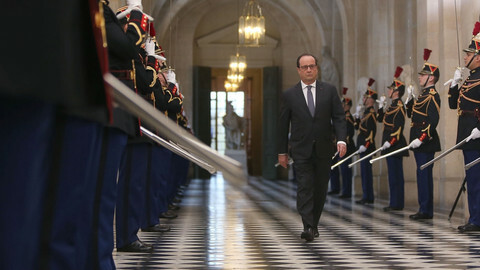 All day long, France hosted political leaders at the Elysee Palace to try to forge national consensus. 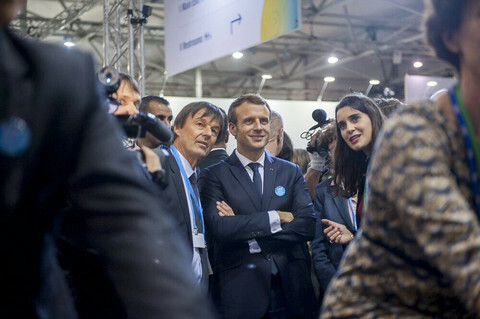 Former president Nicolas Sarkozy said he would support the government if "a major reorientation" of security policy is undertaken. Far-right leader Marine Le Pen pointed out the danger of "migrants" who would come to Europe to commit attacks. A Syrian passport was found on one of the suicide bombers. Greek authorities said on Saturday the man had been registered as a refugee on Lesbos island. But it was later said that the passport was a fake. For the people who came to pay homage to the victims, politicians now have to find a way to curb terrorism. "We have to be careful," university professor Sylvie said. 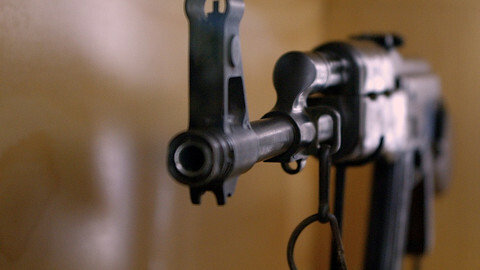 "The National Front is in ambush, all this can only reinforce it." Others are ready to make tougher policies. Julie, in her 20s, heard the shots from her apartment on Rue de Charonne and directly felt the panic next to the restaurant. Still in shock, she said: “All this must be stopped." 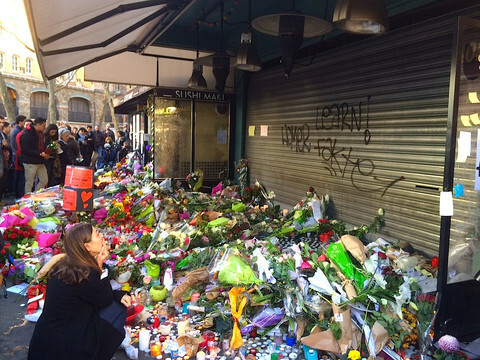 "The post-Charlie period was a wasted opportunity," said Dominique, in front of the restaurant, where some people were crying amid the flowers and candles. "Now we have to realise that these terrorists are ready for anything," he said. "We have to consider that well-founded suspicion should be enough" to take tougher measures against Islamic radicals, he noted. "Moderate muslims also have a duty to speak out and say this is not their religion," he added. For their part, police have identified two of the suicide bombers and one of the gunmen. All are French. Two of them lived in Belgium. Police also made arrests in France and Belgium, in the Brussels district of Molenbeek, on Saturday and Sunday. One man, suspected to be the survivor of an eight-man cell, is being hunted. He is said to have hired the car that was used for the restaurant and bar killings and which was later found in a Paris suburb with automatic rifles and bullets still inside. The proposed EU firearms directive amendment inadvertently risks making firearms more accessible to terrorists.